awatara characters' wardrobe. You get to know all characters clothes. Wallpaper and background images in the Awatara - ang Huling Airbender club tagged: avatar the last airbender aang katara sokka zuko toph azula. 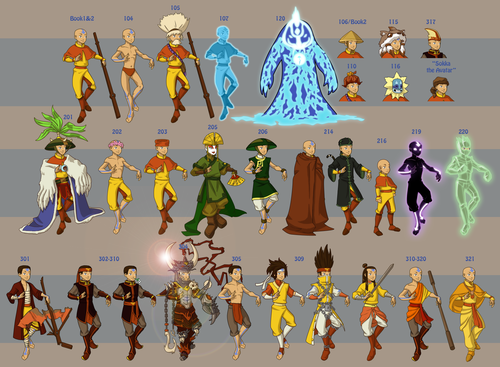 This Awatara - ang Huling Airbender photo might contain kampanilya.